Thomas A. Barker, 58, of Aliquippa (Hanover Twp. ), died Saturday morning, January 30, 2016, at his Hanover Township residence. Born Oct. 7, 1957, in Rochester, a son of the late Charles D. and Myrtle Lena (Klages) Barker, Tom had worked for the Laborer’s Union #1058 before becoming disabled. In addition to putzin’ around the house, he was an avid animal lover who couldn’t say no to strays. In addition to his parents, he was predeceased by a brother, Charles D. Barker Jr. and a sister, Donna Jean Swearingen. He is survived by his wife of 23 years, Kimberly A. (Hughes) Barker, whom he wed on Nov. 28, 1992; his children, Jacob T. Barker, Ambridge; Zachary S. Ponevac, Ohiopyle, and Taralyn M. Barker, Hanover Township; two sisters, Betty (Henry) Barker and Lida (John) Kaiser; a niece and nephew who were more like siblings and friends, Melissa (Ed) Swearingen and Brent (Lori) Swearingen; his mother-in-law, Barbara Hughes, Clinton, also numerous nieces and nephews. He will be sadly missed by his beloved pets, and his many friends who were so supportive throughout Tom’s illness. Please contact the family for the day and time for the Celebration of Life to be held at the family residence. If desired, memorials in his name, can be made to the Beaver County Humane Society, 3394 Brodhead Road, Aliquippa, PA 15001 or the American Cancer Society. 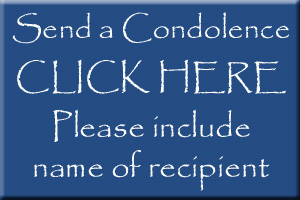 Cremation services provided by the MCCONNELL FUNERAL HOME, 447 Pine St., Hookstown, PA 15050, Daniel M. McConnell, Owner-Director.